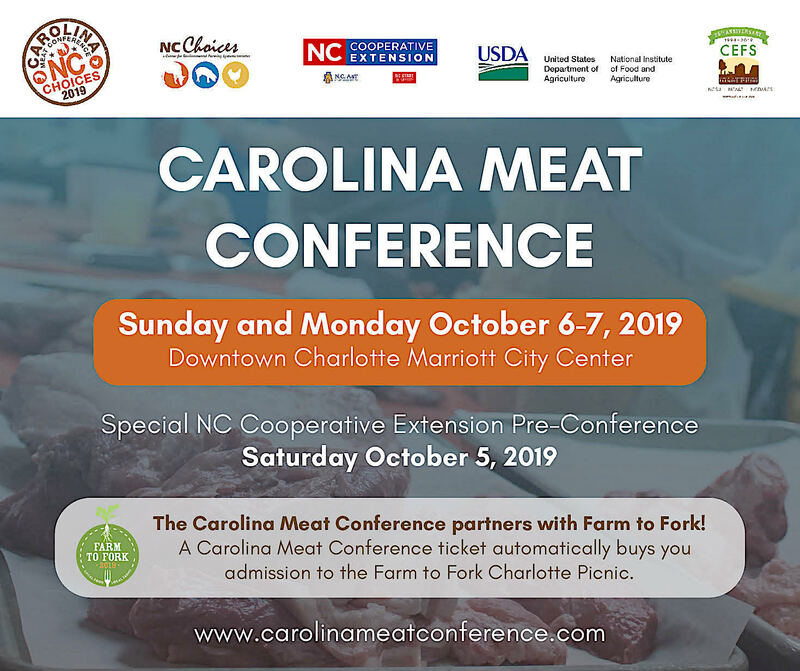 Save the dates, Sunday and Monday, October 6–7, 2019, for the Carolina Meat Conference. Special N.C. Cooperative Extension of Franklin County Pre-Conference on Saturday, October 5, 2019. The Carolina Meat Conference partners with Farm to Fork!